Premier luxury car manufacturer Audi has said that it would be launching new vehicles in the Q range of Sports Utility Vehicles (SUVs) and crossovers. The company, at present, sells the Q3 crossover, Q5 and the gigantic Q7 SUV. It is possible that a new Q model might be placed below the Q3 as a Crosslane concept. Moreover, industry experts are of a view that there would also be additions in the current range as Audi is looking ahead to launch three completely new vehicles during the year. However, there is no information yet about the new models t be introduced by the German auto maker. The company has predicted that by the year 2020, the Q range of vehicles would account for 33-40 per cent of their total global sales. In the Q series, it is expected that the second model will be Q6, which will be slotted between the Q5 and Q7. The company’s flagship model would be a rival for BMW's famed SUV, the X6. In fact, Audi also aims to overtake BMW as the top luxury car manufacturer by 2020. Furthermore, the auto maker is quite positive about its growth in developing markets such as China, India and Russia. On the grounds of European market, though currently demand has gone down, it is expected to pick up in the ongoing year. Audi to increase models in ‘Q’ range, three new models in the pipeline. The German auto manufacturer would be spending $ 14.3 billion by 2015, which will help it to increase production and diversify its existing product line up. The current development plans of the auto maker include expansion of its Hungary plant, while a newer one would be started in Foshan (China) during the current year. 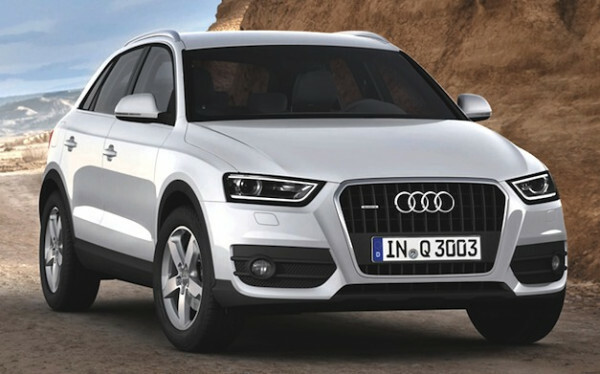 Audi is expecting that deliveries and demand for Q3 and Q5 will be higher in 2013.